This year's Annual Dinner celebrates Maya Angelou's quote: "When you learn, teach. When you get, give." Join us for cocktail hour, dinner, inspiring speakers, and a paddle raise to support enrichment and equity programs in our public schools. 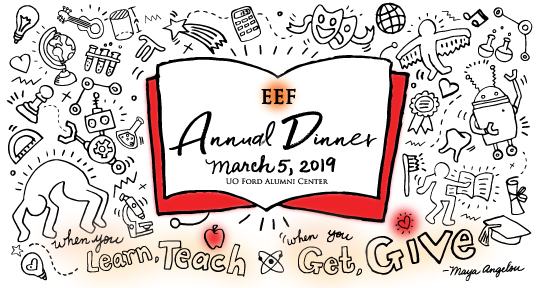 Come together to raise funds for the Eugene Education Foundation, which brings over $750,000 a year to our public schools.